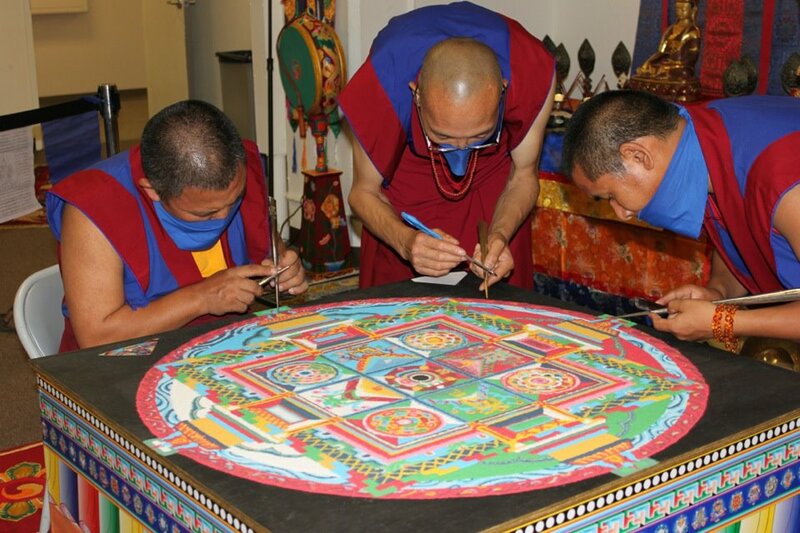 Yungdrung Bon monks create a sand mandala at the Gyalshen Institute in California. A mandala, or kyil khor in Tibetan, is an architectural representation of a sacred palace in which the related deity and retinue reside. Each symbol and color within the mandala has a meaning. This mandala is being created with colored sand. Posted on July 22, 2013, in Prayer and Ritual, Uncategorized and tagged Asian studies, mandala, sacred art, spirituality, yungdrung bon. Bookmark the permalink. Leave a comment.